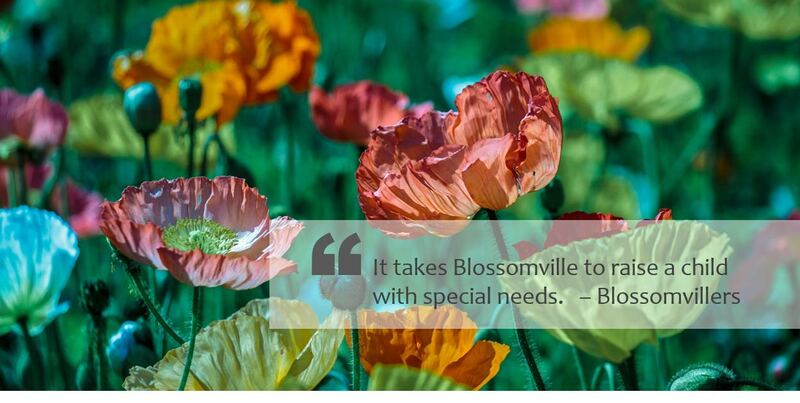 Welcome to Blossomville, a global online community for families with special needs children and their supporting networks of therapists and service providers. In our community, you will find like-minded people, who share similar goals and aspirations. If you are a parent, a grand-parent, a sibling or an extended family member, Blossomville is a place where you will meet other families that understand what you have gone through. Your fellow Blossomvillers may have experiences and stories to share to help you grow further and reach higher. With your fellow Blossomvillers, you are never alone! Families never stop questing for answers and solutions towards healing. On this long journey, some have gained extensive knowledge through numerous experiments; some have achieved great success through strenuous commitment and hard work; and some are still spending endless days and nights searching for options and alternatives. Imagine the power when families from around the world come together, sharing knowledge, insights, successful and not so successful stories! Let’s make this possible together. That is what Blossomville is for! Therapists and service providers are the guardian angels of our special needs children. They chose the hard job. With their devotion, expertise, guidance and hard work, however, miracles do happen. To achieve their professional goals is not always smooth sailing. Many professionals struggle with limited amount of information and feedback, especially those directly from families. If you are a therapist or service provider, Blossomville is the right place for you. It is a platform where you can obtain first-hand reviews and feedback from families. You can also connect with other professionals from around the world to discuss ideas and share perspectives in a multidisciplinary setting. Blossomville enables direct dialogue amongst professionals, and between professionals and families. The more successful our professionals become, the more opportunities our children will have. Raising a special needs child is not an easy task. We understand the challenges. Come join us! We are here for each other. Together, every child blossoms!